One thing every cardmaker and scrapbooker has in common is the mountains of paper scraps we can't seem to part with. This black and white floral paper (Floriade 9-up) was left over from a cardmaking project from years ago but as a hoarder, I still had it in my stash. During my recent studio de-clutter, the time had come to make a decision; "De-stash" or "Use it". It occurred to me that these images would look great as framed art for my studio so I chose "Use it" and suddenly, a new studio decor project was born. All I needed were some frames with a 10cm (4") opening. 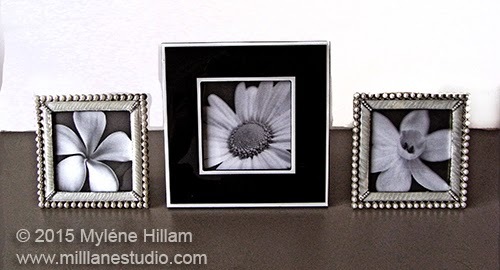 I found a sleek, modern black and white frame and a pair of elegant silver and pearl frames at a local homewares shop that would suit my decor perfectly. 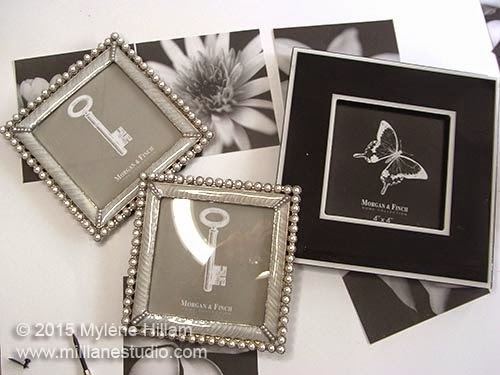 This is the simplest of projects: just slip out the printed paper template from the frame, place it on top of the image or photo you want to use and mark the four corners with a pencil. 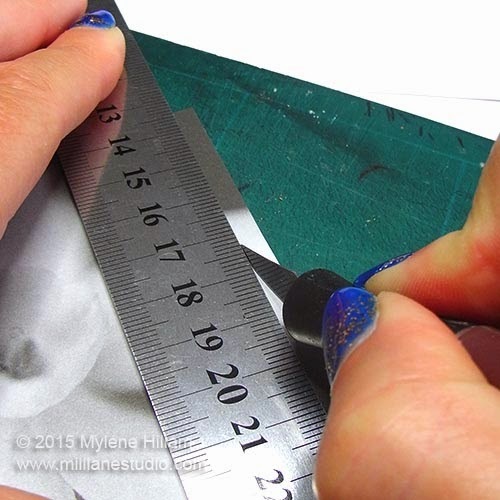 Remove the template and trim the image with your preferred paper cutting system. For me, that's my trusty ruler and craft knife! Place the image in the frame and you're done. (Tip: Place the template behind the image for safe keeping. Then it will be handy for when you want to change up your images if you tire of them). Wow.... what impact the black and white imagery has! I just love the elegant simplicity. 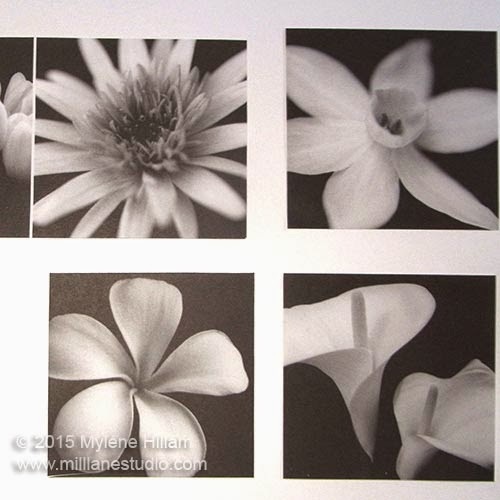 These particular images are no longer available but there are other floral images available from Dark Room Door which would work really well in this project. So, this project used up one third of a sheet of paper.... it's not exactly stash busting stuff, but it is great to see some of it get used! M is for.......An easy Monogrammed Mirror!